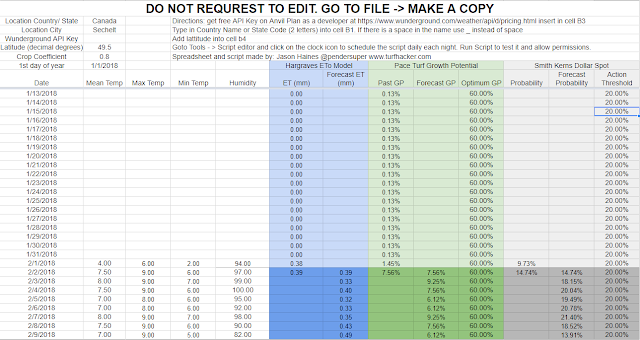 Last week I decided to learn to code so that I could pull weather data off the internet and into my spreadsheets. This would allow my weather related models to update by themselves without me having to intervene. I have enough stuff to do than worry about updating weather data manually when computer can do it for me. After some trial and error I was able to pull past weather data and a 7 day forecast for any location on earth into my spreadsheet and analyze it to calculate evapotranspiration, growth potential and the dollar spot potential. Follow the directions carefully and please, do not request to edit this file. Simply go to File -> Make a copy and you will have your very own version to edit. Further instructions are on the spreadsheet. Having this data at your fingertips makes decision making easier. 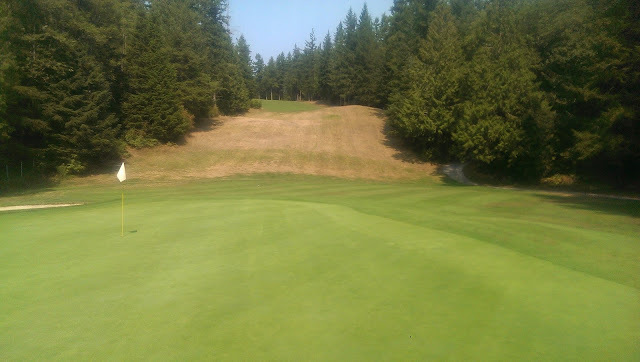 You can see how much water your grass might use, what the disease pressure is, and how optimal the conditions are for growth. I have also been working on a Heads Up Display (HUD) to display all the information that I gather so that it is front and center to help me make decisions. That's one of the biggest advantages of google sheets. You can share the workload with adding data into the sheets with forms or automatically with scripts and instantly analyze that data in useful ways that can help you make better decisions based on the facts. 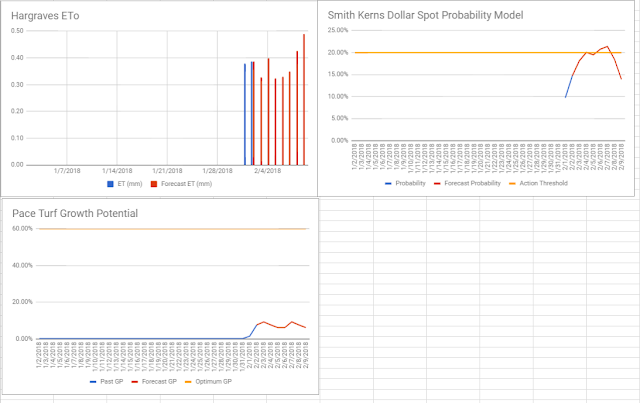 If you are interested in making a HUD for yourself I highly recommend learning how the =importrange() function in google sheets works so that you can pull data from any of your spreadsheets into one place easily and in real time.